June 24 2017 - There's no doubting that the current job market is fiercely competitive. Depending on your field, you could be competing with hundreds, if not thousands of prospective job searchers at any one interview. With such competition, and the need to ensure a salary to live on, choosing a career path can be a stressful decision. On top of this, everyone wants to be working in a field that they're passionate about, or at least enjoy. Choosing passion or pragmatism is never easy and there's no one right answer. Joann McKenna explained that it may be time to stop encouraging students to follow their passion as a career, "Balancing passion and pragmatism is one of the hardest things we're asking young people to do today... 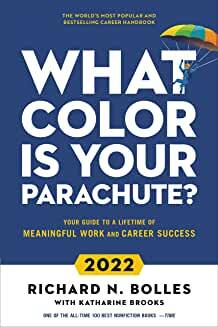 If you want to get a job and start a career, you may need to develop skills and gain satisfaction from doing things that you don't directly associate with your dreams." When choosing your career path, you will need to consider your decision from an economic and motivational standpoint as well as the future career options associated with your choice. The biggest factor in choosing between passion or pragmatism is the pay in the chosen career path. Everyone wants to be paid fairly for the work they do. Being underpaid and overworked is never going to lead to an enjoyable career and because of this, most people prioritise salary when considering possible career options and choosing university degrees. This doesn't necessarily mean that pragmatism should be chosen over passion. A pragmatic choice might be a career with a trade, but your passion might be in medicine. In this case, your passion will likely lead to a higher salary. In saying this, it's important to consider if you think the salary is worth the extra effort, or if it's a realistic option. This leads to the next point of consideration. Whether it's pragmatism or passion, you need to consider if the chosen path is worth the time spent studying and practising. Are you going to be able to commit to six years of medicine school? If you go to university to pursue a career, you will spend a lot of time working and studying within the field. A large amount of work, especially complex work, is going to be a lot more difficult if there's a lack of motivation behind your efforts. If you don't enjoy the work involved with pursuing a career, completing the course may prove to be very difficult. You need to understand what work you will be doing, how hard you'll have to work to complete it, and if doing so is something you can achieve and are motivated to do. Consider this for both your passion and pragmatism option and determine your skills. Essentially, is this worth it? Having options and choices within your chosen career is crucial to success. It's a great idea to look at entry level positions, but it is equally important to look past that. Where can your career go as it develops. One of the worst things to do is end up in a position with nowhere to go or a position within a dying industry. Having options doesn't mean you need to choose a pragmatic career. Your passion, surprisingly, may have a range of options, if not more than a pragmatic option. These options might not be exactly what you want, but they can be used to develop your skills which can help you move into your desired area. Research your options and find jobs you can work towards for both short and long term goals. Is Passion AND Pragmatism possible? Many people often focus on one career path, specialising in a specific area in order to have a secure income and stable job. However, why does this need to be the case? Just because you have chosen a pragmatic option as a career, doesn't mean you need to let go of your passion. While you're at university you can choose electives or sign up to online courses that relate to your passion. Once you have a stable job, you can carry out your passion as a hobby. Perhaps, eventually, you could earn money through your passion on the side. What this means is that there's always a way to follow your passion. This may mean finding enjoyment in a pragmatic option, while you work towards your passion separately. Ultimately, you can make anything work. Think about your options, consider how much work your willing to put in for what you want, and assess what's worth pursuing and what isn't. Alana Downer is a self-improvement addict, motivational speeches lover and a financial independence seeker. A blogger at Learn to Trade, Alana might often be found online, sharing some of her self-growth ideas with her audience.